Just a short blog post to keep you updated on some of my recent publications in the fields of media studies and cultural studies. I contributed to the Ashgate Companion on Fan Cultures; Well-Played and a handbook on gender studies in The Netherlands. Interested? Then let me tell you more! This timely collection discusses different fan practices and cultures, and shows the state of the art of fan studies as a field. I contributed to the book with a chapter on fan conventions, drawing data from my ethnographic research on fan cultures the past years. I highly enjoyed working on this edited collection. The book is diverse, and the chapters are not too long and a good introduction to the field of fan studies, which makes them very suitable as literature in classrooms. 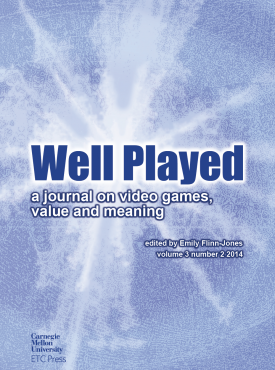 This special issue of Well-Played has been edited by Emily Flynn-Jones. The journal itself specifically focuses on the close-reading of video games, and how meaning is constructed by designers, and understood by audiences and critics. Through the concept of weird games, which takes a tack from weird fiction, the different authors explore unusual storytelling and mechanics in games, as well as experimental genres. I have contributed with an article on my favorite weird game, the Japanese pigeon dating sim Hatoful Boyfriend. This game is not just weird at its surface, but truly weird in its storytelling and deconstruction of dating sim tropes. I really enjoyed reading this issue! The articles are diverse and offer new and inspiring insights into game design/studies, by focussing on innovative, hilarious and dark aspects of weird games. Other articles are deeply intertextual and demonstrate how weird games continue the long legacy of weird, gothic fiction, drawing from Lovecraft and cult SF/F. You can download this issue for FREE. 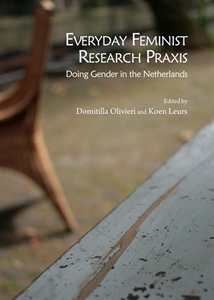 Edited by Koen Leurs and Domitilla Olivieri, this collection brings together contributions from Dutch scholars who work in the field of cultural studies, gender studies and media studies. Connected by a strong interest in gender and diversity, the chapters reflect not only on topics and questions that emerge from gender research, but also on the modes and the methods that are key to doing feminist research. I contributed with a reflection on geek feminism and expand upon some of the data from Productive Fandom that relates to Glee fan fiction. 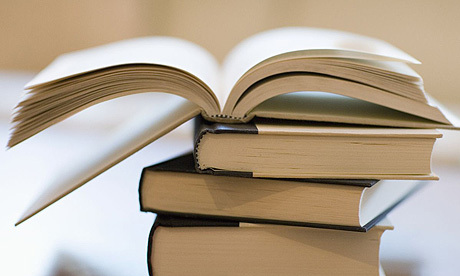 My identity as a scholar-fan is one that I discuss here amply, and how that shaped my methods.